First stop-Costco! 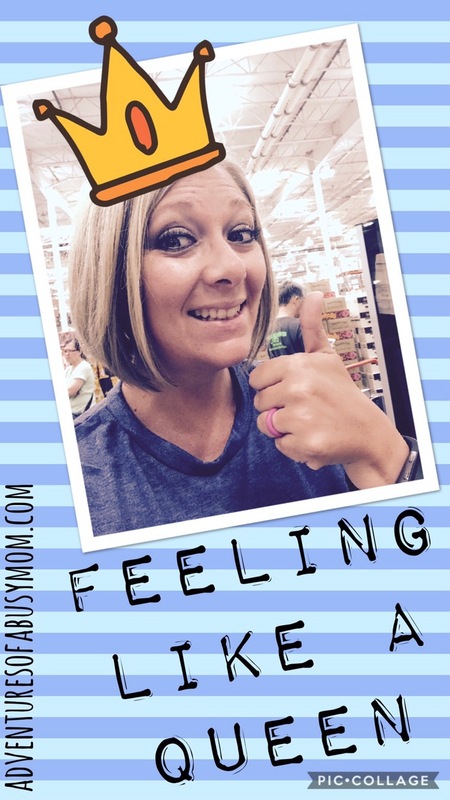 Let me tell you this…going to Costco with kids can be quite an adventure in and of itself! You moms know exactly what I’m talking about! I find myself praying for a sample stand of something kid friendly like a hotdog or fruit snacks so I can bribe them to be good for “one more isle!” Some days, we luck out and there’s enough goodie samples we have full bellies and don’t even need lunch! Luckily, today was a preschool day and I had 2.5 hours of kid free time! Why I chose to spend it at Costco is beyond me?!?!? My plan was to get in and out. Since I had no kids to distract me, it was going to be so easy! However, as I got to browsing the isles, I realized I didn’t HAVE to rush in fear that the kids would be “bored” and want to leave. Instead, I could actually take my time and go at my own pace! It was heavenly and I felt like a queen! I actually ENJOYED my trip to Costco! I wasn’t rushed and I was actually able to “sniff” my fruits to make sure they were fresh. I was able to slow down so that I didn’t earn a FitBit award for my heart rate reaching an ultimate high point from running through the isles. I was able to think about my purchases and mentally plan ahead our meals rather than just tossing stuff in the cart and hoping it would be what we need. As much as I love being a mommy (I joke about cooking and cleaning being a chore, but I actually enjoy taking care of my family), I also love time to myself! Even if it’s just a trip to Costco by myself, it gives me a feeling that I AM A WOMAN-NOT JUST A MOMMY! Us mommas need a break from being a mommy and need a chance to feel like a woman! I find I am actually a better wife and mom when I take these little moments to be alone. I am more patient and loving to my family because that part of me which needs to feel valuable as a woman is fulfilled. Being a mommy changes you-and that’s not a bad thing! However, don’t let it change who you are! Get out and do the things you enjoyed before you had kids (within reason of course!) Start up those hobbies you did which made you happy. Paint those toes and wear that pretty necklace. Previous Post This Mom Conquered Mt. Olympus!